Goswick Links is better known to many as Berwick-Upon-Tweed Golf Club, and it is a traditional seaside course whose reputation is burgeoning. Regional qualifying for the Open Championship returns to Goswick Links in 2018. The coastal location of Goswick ensures that it very rarely succumbs to adverse weather conditions, with good tees and greens year round. Arguably Northumberland's premier links course, Goswick traverses the humps, bumps and hollows of the Berwick shore, and is a truly pleasurable golfing experience. 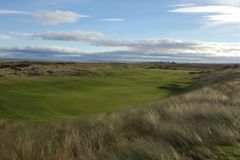 The award of the Open Championship regional qualifier will only serve to enhance the course's already excellent reputation, so why not experience Goswick yourself with a golf tour in the north east?